A soft, captivating pillow that will look great on any bed, sofa or sectional, the Lamb Fur Pillow in Blue offers a dazzling choice. The pillow boasts a soft wool front and polyester filling for supreme comfort. In addition, the pillow's glamorous blue exterior helps the piece stand out in any living space. 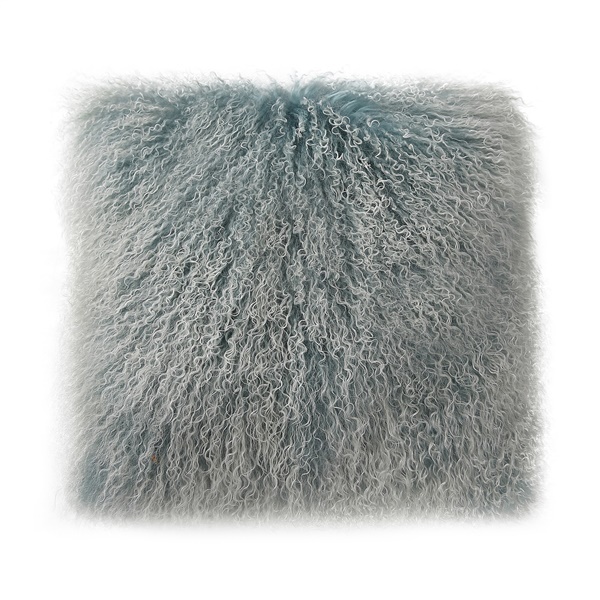 Pick up an ultra-modern pillow that will sparkle day after day with the Lamb Fur Pillow in Blue.